Team SIG set a world record by knocking over 40 steel targets at 8-yards in only 4.42 seconds. 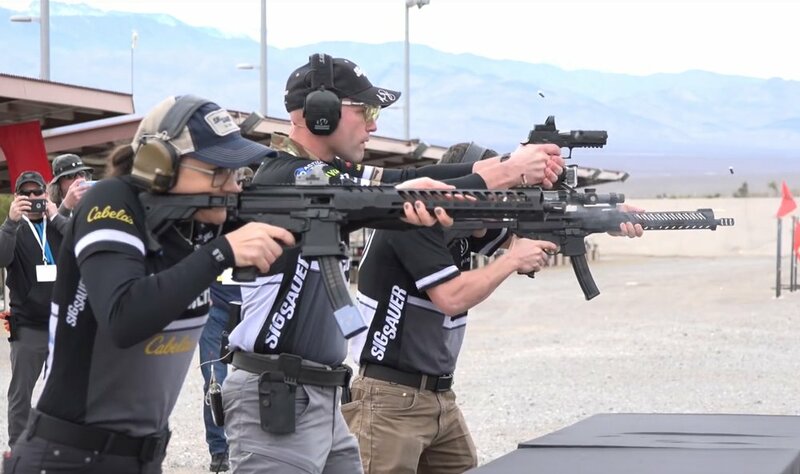 Max Michel, Daniel Horner, and Lena Miculek set the record at the SIG SAUER media day on January 20, prior to SHOT Show 2019. 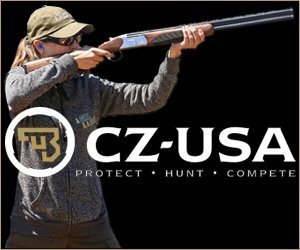 The record was certified by Cole McCulloch, director of NRA competitive shooting, who was on site. The three shooters were in separate shooting boxes facing downrange. Any team member could fire at any target in the array. The final time was based on the last team member’s shot, and counted only if all targets have fallen. Horner and Miculek shot SIG MPX pistol caliber carbines and Michel used a SIG 9mm pistol.